DUI Category Archives — Denver DUI Attorney Blog Published by Denver, Colorado DUI Lawyer — Monte J. Robbins, Esq. There were 892 DUI/DWAI cases filed in Larimer County Colorado in 2018. The average BAC amongst those cases was .154. 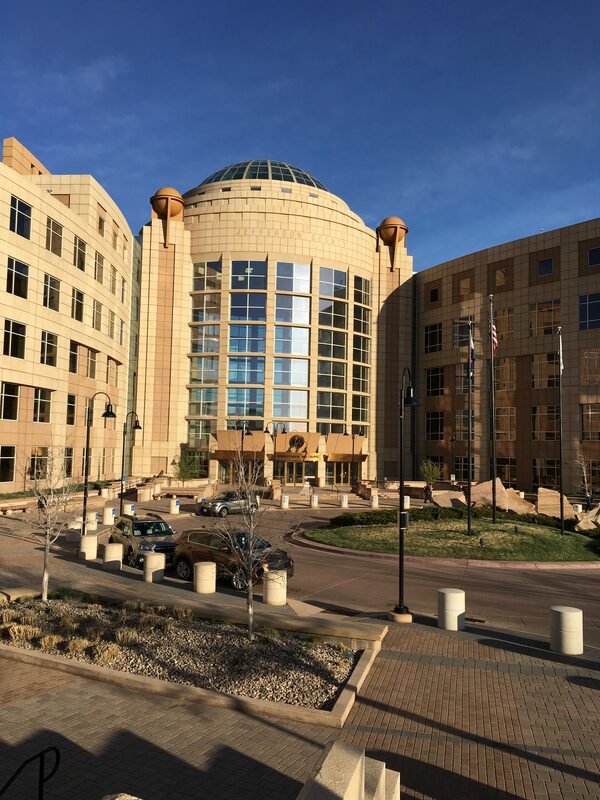 DUI and DWAI cases in Larimer County Court typically start in the magistrate arraignment division in Courtroom 1A. Thereafter they typically proceed to one of the county judge trial divisions in courtroom 3D, 4D, or 5D. 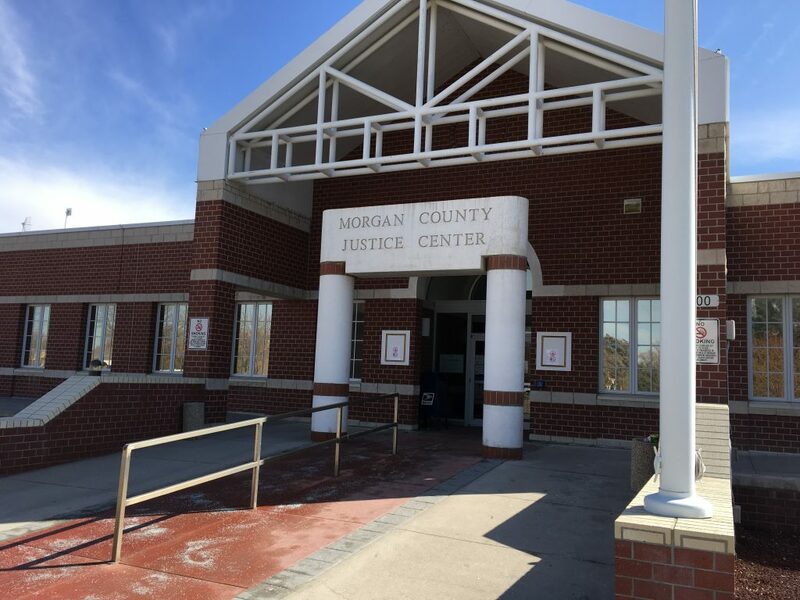 Depending upon the location of the alleged DUI, some of the cases are assigned to county judge trial divisions in courtrooms L1 or L2 of the Loveland court. If a driver submits a blood or breath test for a DUI/DWAI in Larimer County, there are presumptions or inferences that are established through the results of the blood or breath test at the time of the commission of the offense or a within a reasonable period thereafter. If a driver’s BAC was .05 or less, the law reads that it is presumed that a driver is not under the influence and not impaired by the consumption of alcohol. This provision of the statute can be very powerful in fighting a DUI/DWAI charge in Colorado because the law is on the driver’s side. Many times law enforcement officers will still arrest a driver with a lower BAC of .05 or below. It’s especially critical for a driver to have legal representation in these types of “lower BAC” cases. There is a permissible inference that a driver’s ability to operate a motor vehicle is impaired by the consumption of alcohol if a blood or breath test yields a result of .051 to .079. The permissible inference established by this BAC may also be considered with other evidence to determine if the driver was under the influence of alcohol. If a driver’s blood or breath BAC is .08 or greater, there is a permissible inference that the driver was under the influence of alcohol. 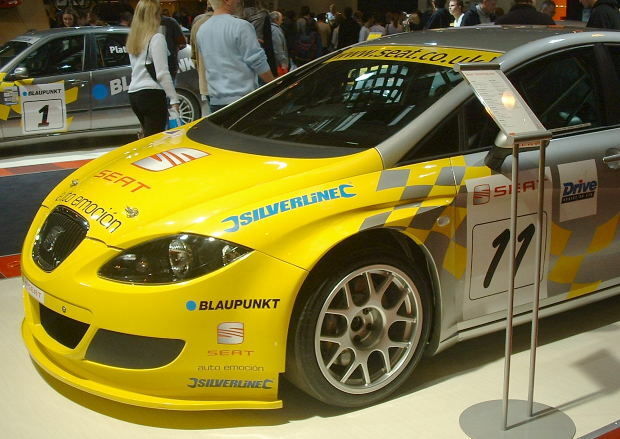 If a driver’s blood test confirms 5 nanograms or more of THC (delta 9-tetrahydrocannabinol), there is a permissible inference that a driver is under the influence of one or more drugs. Often times police officers in Larimer County will ask a driver to submit to a preliminary breath test (PBT) on the side of the road. The results of the PBT, or the driver’s refusal to submit to a PBT, are not admissible in court. A refusal to take a blood or breath test, a refusal to complete a blood or breath test, or a refusal to cooperate in completing a blood or breath test (upon being advised of Colorado’s Express Consent) however can be used against a driver in a prosecution for DUI or DWAI. If a driver is a Medical Marijuana Card holder, the fact that the driver has been issued a medical marijuana card cannot be used against the driver in a prosecution for a DUI/DWAI offense in Larimer County or anywhere in Colorado. Further, the fact that a driver possesses a Medical Marijuana Card is not probable cause for a police officer to require a driver to submit to a blood test. The Colorado State Patrol, Larimer County Sheriff’s Office, Fort Collins Police Department, and the Colorado State University Police Department are very active in DUI enforcement in the Fort Collins area. Colorado Express Consent (DUI) Revocation Hearings must be held within 60 days of the request pursuant to CRS 42-2-126. The Hearings Division loses jurisdiction over the case after 60 days. There are a few exceptions to the 60 day time limit such as the unavailability of the law enforcement officer or unavailability of the hearing officer. However, there are no exceptions for the unavailability of the respondent or respondent’s lawyer. If the hearing is rescheduled beyond the 60 day time period due to the unavailability of the law enforcement officer or hearing officer, the respondent driver’s temporary permit shall continue until the new hearing date. Colorado case law has held that a hearing must not only be scheduled, but actually held within the 60 day time period. In the 1989 Colorado Court of Appeals case of Wilson v. Hill, 782 P.2d 874, the Court held that the department’s failure to hold the Express Consent Revocation hearing within 60 days required dismissal of the action. 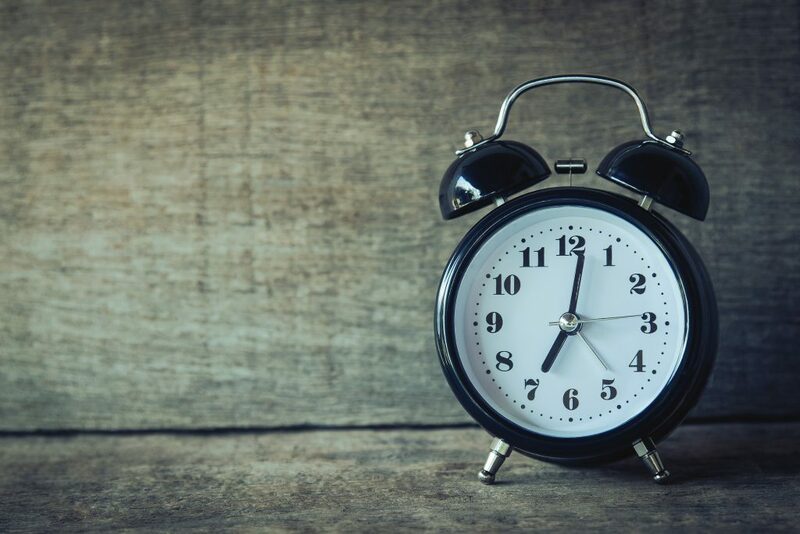 If the 60th day lands on a Saturday, Sunday, or legal holiday, the Hearings Division can still hold a timely hearing outside 60 days if the hearing is held by the end of the next business day. The date the respondent requests the hearing is not included in the calculation of the 60 days. In other words, the Hearings Division gets a full 60 days after the date of the request to hold the hearing. Bottom line is that it’s important to always check the date of the hearing to make sure that it’s within 60 days of the request. If it’s not within 60 days, a motion to dismiss is critical. Although the hearing must be held within 60 days, there is no statutory requirement that the Hearings Division actually render a decision within 60 days. Sometimes hearing officers “take matters under advisement” for days or even weeks beyond the hearing before rendering a decision in a case. A respondent driver must request an Express Consent Revocation Hearing within 7 days of the date of notice (indicated on the Express Consent Affidavit and Notice of Revocation). It’s important to note that this 7 day period includes weekends and holidays. Thus, it’s critical for a respondent driver to immediately request an Express Consent Revocation Hearing upon receipt of the Affidavit and Notice of Revocation to avoid any possible miscalculations. There are some exceptions for timely requesting a hearing within the required 7 days. These exceptions include when a respondent was unable to make timely request due to lack of actual notice of the revocation or factors of physical incapacity such as hospitalization or incarceration. If a late hearing request is granted, however, the respondent driver will not receive a temporary permit to drive on up until the hearing. Moffat County, Colorado covers an enormous area of 4,751 square miles in the Northwest corner of the state and is the second largest county in Colorado. That’s a huge area for law enforcement to patrol! District 4 of the Colorado State Patrol, Moffat County Sheriff’s Office, and the Craig Police Department enforce DUI laws in Moffat County. In the year 2017 there were 94 DUI and DWAI cases filed in Moffat County, Colorado with an average BAC of .155. 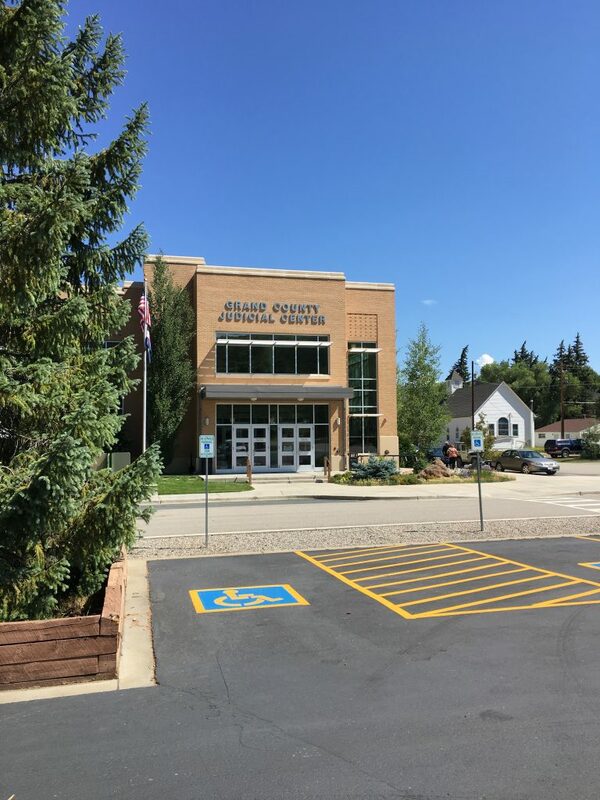 DUI and DWAI cases are heard in Moffat County Court located at 221 West Victory Way in Craig, Colorado. DUI arraignments are typically held by Judge Gardner on Tuesdays at 8:30AM in Division 2. Court dates and times can be confirmed by contacting the Moffat County Court clerk’s office at 970-824-8254. If you submitted a breath or blood test in your Moffat County DUI or DWAI case, the law enforcement agency must comply with rules from the Colorado Department of Health and Environment, Laboratory Services Division. A blood test must be collected in the presence of the arresting officer and the specific instructions for the DUI blood kit that must be followed. The blood must be collected in a public safety facility or appropriate clinic and sterile equipment must be used. It’s critical that a non-alcohol swab be used when drawing the blood. Specifically, the swab must be an aqueous solution of nonvolatile antiseptic. Two tubes are drawn and the tubes must contain Sodium Fluoride and Potassium Oxalate preservative. Once the tubes are drawn, they must be correctly labeled and sealed in accordance with the directions for the draw and then placed in secured refrigerated storage at less than 8 degrees Centigrade or frozen until shipped. The tubes must be shipped within 7 days of collection. The Defendant’s attorney can have the 2nd tube tested at a certified independent lab within a reasonable period of time. The chain of custody of these vials must also be documented. It’s critical to review the entire blood testing process in the DUI case. Similarly, a breath test on the Intoxilyzer 9000 machine must be completed in accordance with the same Colorado Department of Health and Environment, Laboratory Services Division rules (5 CCR 1005-2). The machine must be certified and the operator must be certified to operate the machine. According to the rules, the driver must be given a choice of which type of test he/she prefers to take (blood or breath). A 20-minute deprivation period is required before administering the test on the machine. During this 20 minute deprivation period, any foreign material must be removed from the driver’s mouth that is not permanent in nature. No foreign materials should be introduced into the driver’s mouth cavity during the 20 minute period. The cop must observe the driver continuously to ensure that the driver doesn’t belch, regurgitate, or intake any foreign material into the mouth cavity during the 20 minutes. A clean mouthpiece before the 1st blow into the machine must be used. Subsequently, the mouthpiece has to be changed out with a fresh one before the 2nd blow into the machine. Sometimes the cops forget to change out the mouthpiece between the 1st and 2nd blow in the machine. Not changing the mouthpiece between breath samples is a violation of the Colorado Department of Health and Environment rules for evidential breath testing. The driver must be further observed during the 2nd blow into the machine to ensure that there is no belching, regurgitation, or intake of foreign material. The driver must be removed from the area in close proximity to the breath test machine during the 2 minute period between the breath tests. The breath machine operator must sign the report reflecting the breath test result and attest that the test was completed in compliance with the rules. All printouts produced by the machine must be retained and provided to the driver or his lawyer. Any errors in the testing process could invalidate the result. DUI and DWAI cases in Moffat County are prosecuted by the 14th Judicial District Attorney’s Office. This office handles all state criminal matters in Moffat, Routt, and Grand counties. Grand County, spanning 1870 square miles, is a very popular recreational destination in Colorado. Whether it’s skiing or snowboarding at Winter Park or Mary Jane, or summer hiking near Cascade Falls or Horseshoe Lake Trail, Grand County seems to have endless outdoor opportunities to get away from it all. Unfortunately, some people are arrested in Grand County for driving under the influence or driving while ability impaired while partaking in recreational activities. Because many of those arrested are not residents of the county (or even the state), the court process can quickly become confusing and even overwhelming at times. Rest assured that if you have been charged with DUI or DWAI in Grand County, you do have options and you do have rights throughout the process. Experienced DUI defense counsel can help you navigate the system and the DUI process to obtain the best possible result when facing a difficult and stressful situation. First, second, and third DUI offenses in Grand County are misdemeanors. Fourth and subsequent offenses are Class 4 Felonies. Convictions for DUI, DUI per se, DWAI, vehicular homicide, vehicular assault, aggravated driving with a revoked license, and driving under restraint (alcohol-related restraint) are considered to be a “prior” offense under Colorado law. Colorado factors-in prior convictions anywhere in the US over the course of the person’s life. There are no time constraints on the “look back period” for priors- it’s lifetime. 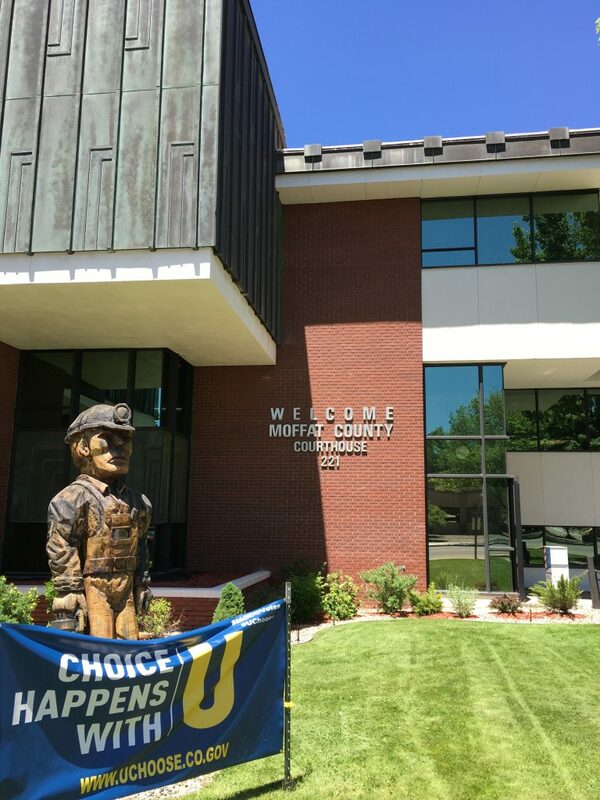 The Grand County Judicial Center is located at 307 Moffat Avenue, Hot Sulphur Springs, Colorado 80451. County court misdemeanor DUI and DWAI matters are heard by Judge Catanzarite. 147 DUI and DWAI cases were filed in Grand County Court in 2017, with an average BAC of .155. If a person has been arrested in Grand County for DUI, she must act immediately within 7 days to protect her driver’s license. An administrative hearing request must be filed with the Colorado Department of Revenue, Division of Motor Vehicles. Kremmling Police, Colorado State Patrol, Grand County Sheriff’s Office, Granby Police, Fraser/Winter Park Police are active police agencies in the county charging drivers with DUI and DWAI offenses. Drivers who have been pulled over in Grand County will be asked to perform standard field sobriety tests (SFST). These tests typically include, the Horizontal Gaze Nystagmus (HGN), walk-and-turn, and one leg stand. Sometimes police will also request other tests such as counting backwards, reciting the alphabet, Romberg balance test, etc. These tests are not easy for everyone to perform. Medical problems, fatigue, complex explanations of how to perform the tests, stress, being nervous, poor coordination, and other innocent reasons can cause a person to perform poorly on the roadside tests. The “graded performance” of a person’s roadside tests is based upon the officer’s subjective opinion and can be challenged in the DUI case. DUI and DWAI cases in Jefferson County, just like any other county in Colorado, must be supported by the evidence. If the case proceeds to trial, the district attorney must prove the case beyond a reasonable doubt. There must be a legal and valid reason for the initial contact. This is typically the result of some alleged traffic infraction. Thereafter a driver is stopped and contacted by the police. Less frequently, a driver may be contacted from a “consensual encounter” or a roadblock. 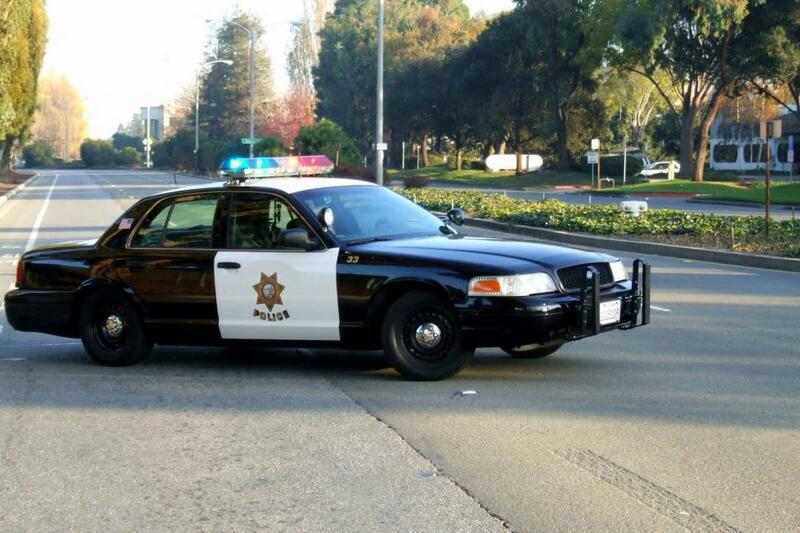 SFST roadside maneuvers may be conducted, including a PBT portable breath test. A driver doesn’t have to do roadside tests or a portable breath test. They’re all voluntary tests, thus it’s typically a good idea to not do any of them (why give the cops anything that they will try to use against you later? -no reason to.) A potentially admissible chemical test of the driver’s blood or breath typically follows next. Or perhaps the driver refuses. Cops typically look for indicia of alleged impairment throughout this process and collect any statements from the driver that they can use to bolster their case. 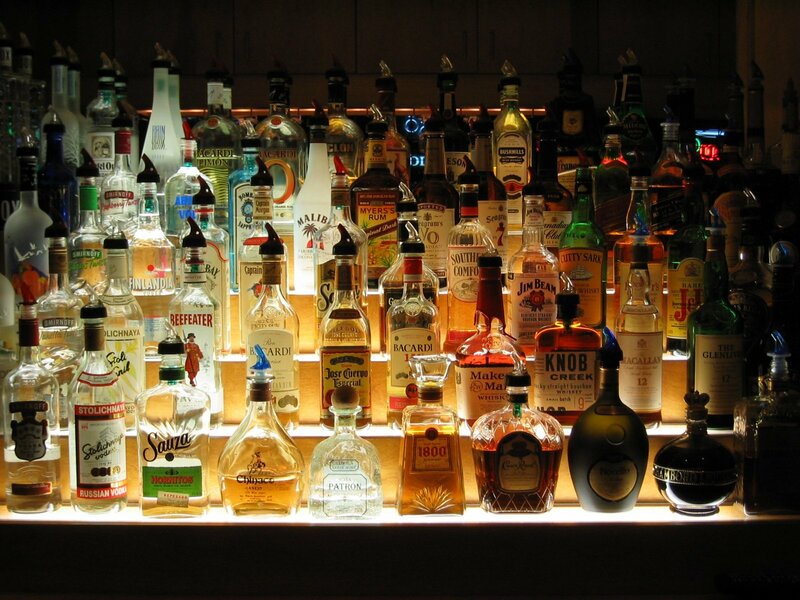 Each of these pieces of evidence may be challenged in a DUI case. If there is an illegal stop involved, the driver may gut the prosecution’s case by suppressing all evidence obtained as the result of the illegal police action. A driver must file a motion to suppress evidence in order to initiate this process. Thereafter, the court will have a hearing and rule on the motion. Although the motion may be heard at the time of trial, it’s much wiser to have the suppression hearing well in advance of trial. The year 2017 saw 1901 DUI and DWAI cases filed in Jefferson County Court in Golden, Colorado, making it the 4th highest in terms of sheer volume of DUI and DWAI cases in the entire state of Colorado. 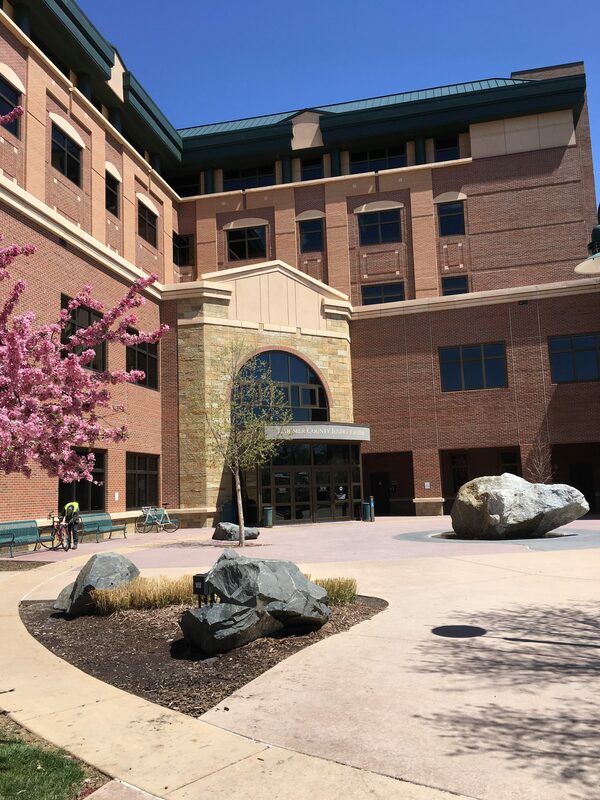 The courthouse is located at 100 Jefferson County Parkway, Golden, Colorado 80401. Many people refer to it as the “mausoleum”. Nine (9) separate county court trial divisions handle DUI cases in Jefferson County Court. Although all 9 divisions are housed within the same court system, the process, case flow, and sentencing practices can vary amongst the divisions. The county court trial divisions presiding over misdemeanor DUI and DWAI cases are as follows: Division C, Judge Burback; Division E, Judge Carpenter; Division B, Judge Fisch; Division F, Judge Moore; Division G, Judge Randall; Division D, Judge Sargent; Division A, Judge Stuart; Division H, Judge Vance; Division J, Judge Woodford. For aggravated first time offenses and second offenses resulting in jail time, it has been the experience of Attorney Robbins that some of the judges in Jefferson County Court believe in in-home detention (as an alternative to jail), and others do not. Arvada Police, Jefferson County Sheriff’s Department, Edgewater Police, Golden Police, Lakewood Police, Littleton Police, Westminster Police, Colorado State Patrol, and Wheat Ridge Police are very active in DUI enforcement throughout the county and account for a large number of the cases charged. Smaller police departments such as Bow Mar Police (provided by Columbine Valley Police Department), Lakeside Police, Morrison Police, and the Mountain View Police, account for a smaller portion of DUI enforcement and cases in the county. DMV Express Consent Revocation Hearings for Jefferson County cases are typically held in-person (rather than via telephone) at DMV headquarters located at 1881 Pierce Street in Lakewood, Colorado. Driver’s license hearings are held separate from Jefferson County Court DUI or DWAI matters. The burden of proof in an Express Consent Revocation Hearing is by a preponderance of the evidence- a civil standard. Preponderance of the evidence is a lower standard of proof than is required in a criminal case which requires proof beyond a reasonable doubt. What should you do? Panic? Ask you neighbor for advice? Sign-up for another year with that damn interlock machine? The answer is no, no, and no. You should immediately request a hearing. As of the date of this blog post, DMV ignition interlock violation hearings are backlogged 6-8 weeks just to receive a Notice of Hearing letter and you must first secure a spot on a waiting list. As soon as your name appears at the top of the waiting list, the Hearings Division will mail you a Notice of Hearing letter setting the hearing. Most of the hearings anymore are held via telephone. If at all possible an in-person hearing is typically better than a telephone hearing. However more and more hearings are being scheduled telephonically and a Respondent may not have a choice. If a hearing is requested, the Hearings Division may postpone the effective date of the extension until after the hearing. It is vitally important for a Respondent to clarify this information with the Hearings Division and determine the status of the driver’s license until the hearing. What does 3 out of 12 reporting periods mean? This can be confusing. A “reporting period” is a month, and is defined the Code of Colorado Regulations as the first and last days of a calendar month. The violations must occur in 3 out of 12 consecutive months. The 12 months must be consecutive, the 3 months reporting violations do not need to be consecutive. 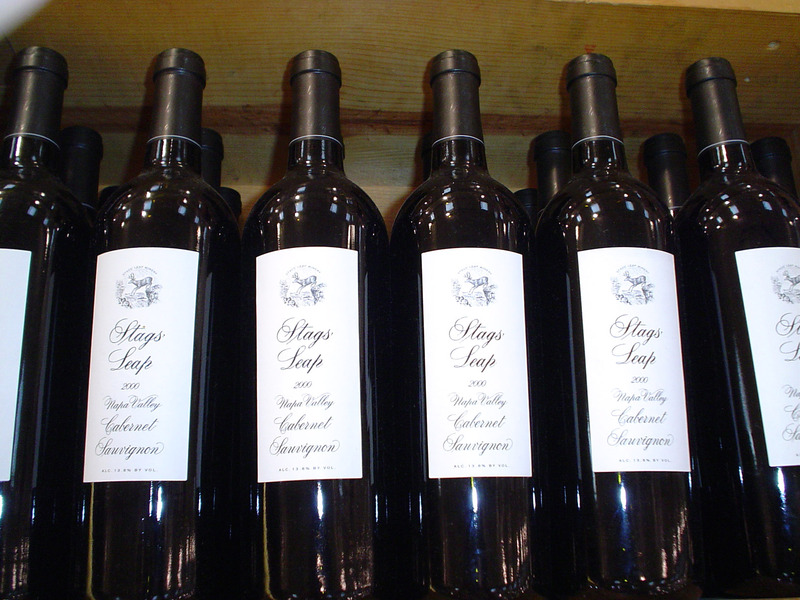 What is “excessive blood alcohol content”? Excessive alcohol content for purposes of the ignition interlock machine means a BAC of .025 or greater. How does DMV monitor the ignition interlock device? At least every 60 days, a driver must have the interlock device inspected by the interlock company. There are 4 ignition interlock companies approved in Colorado at the current time: Guardian, Intoxalock, #1 A LifeSafer of CO, and 1A Smart Start, Inc. At this inspection, the interlock company will download the data records and forward them to DMV. An interlock provider is supposed to notify a driver at the time of inspection if there are any violations. However, a failure of the interlock company to advise a driver of any violations will not win an ignition interlock violation hearing for a Respondent. What if a driver gets their regular unrestricted license back before violations are reported to Colorado DMV- can Colorado DMV still cause an ignition interlock extension? The short answer is yes. Even if a driver gets their unrestricted full privileges back, they can still be subjected to an ignition interlock extension for violations that occurred before the driver got their license back. According to the Code of Colorado Regulations, if there is evidence of circumvention of an interlock device, an ignition interlock company will file a report of circumvention to the Colorado Department of Revenue. If a police officer detects circumvention of the interlock device, he/she may file a report with the Colorado Department of Revenue and may file criminal charges in the appropriate county court. The sole issue at a hearing for an extension of an ignition interlock period is whether “lockouts” occurred in 3 of any 12 consecutive reporting periods, and if proven, to then determine the length of the extension. A Hearing Officer may determine the following as “aggravating factors” in determining an extension period: 2 or more lockouts in 1 month, a prior extension for lockouts, a pattern of readings consistent with attempted drinking and driving, any BAC readings of .05 or higher, lockouts in more than 3 of the 12 consecutive months at issue, and any lockouts in the last 6 months of an ignition interlock lease agreement. A Hearing Officer may determine the following as “mitigating factors” in determining an extension period: any factors the driver may submit in mitigation (obviously this is very subjective), attendance at alcohol treatment after the last lockout, only 1 lockout in each of the 3 months and no lockouts in any other months at issue, more than 1 year remaining of the interlock requirement, and alcohol readings subsequent to the last lockout indicating that the driver walked away from the vehicle and did not re-attempt to start it after consuming alcohol. New, enhanced, tougher DUI penalties for 4th, 5th, 6th or more DUI offenses in Colorado start on August 9, 2017 pursuant to House Bill 17-1288. The new law requires a person convicted of a Felony DUI, DUI per se, or DWAI who is sentenced to probation to serve a minimum period of straight time jail or work release/education release. The minimum period of straight time jail is 90 days up to a maximum of 180 days as a condition of any probation sentence granted. In the alternative, if the Court grants probation for a person convicted of a 4th or subsequent Felony DUI, DUI per se, or DWAI, he/she must serve a minimum of 120 days up to a maximum of 2 years of jail with work release or education release authorized. This provision applies only to counties that have jails that support work release and education release. The statute further indicates that work release may only be authorized for people who have established employment at the time of sentencing. Education release may only be authorized for those who are enrolled in an education program at the time of sentencing. No other sentencing alternatives are authorized (i.e. in home detention, weekends, or mid-weeks), however release for medical treatment may be authorized. Prior to this new enhanced law, there was no minimum mandatory period of jail to be served as a condition of probation. Further, 48 hours of community service up to 120 hours are required. If a person is not granted probation and is instead sentenced to prison (the Department of Corrections) for a Felony DUI, DWAI, or DUI per se, the Court must determine that incarceration is the most suitable option given the facts and circumstances of the case. The Court shall consider the person’s willingness to participate in treatment and whether all other reasonable and appropriate sanctions and responses to the violation have been exhausted. The Court must further determine that all other reasonable and appropriate sanctions and responses either present an unacceptable risk to public safety or do not appear likely to be successful if tried. Probation, rather than prison time, may be authorized when it appears that the ends of justice and the best interests of the defendant and public will be served. The length of the probation term is left at the discretion of the court. By statute, the length of the probation may exceed the maximum period of incarceration authorized by statute.